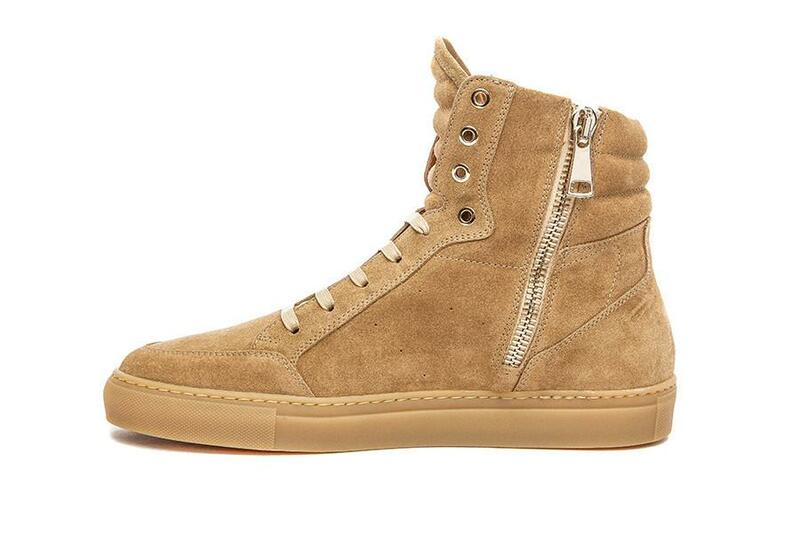 Not all high tops were meant for the black top. 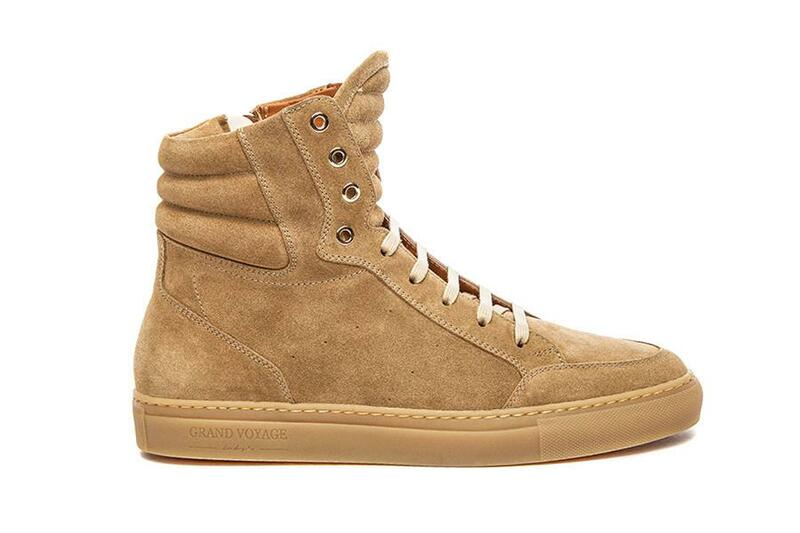 This Belmondo High Sneaker from Grand Voyage is a cool walk into highbrow meets downtown. 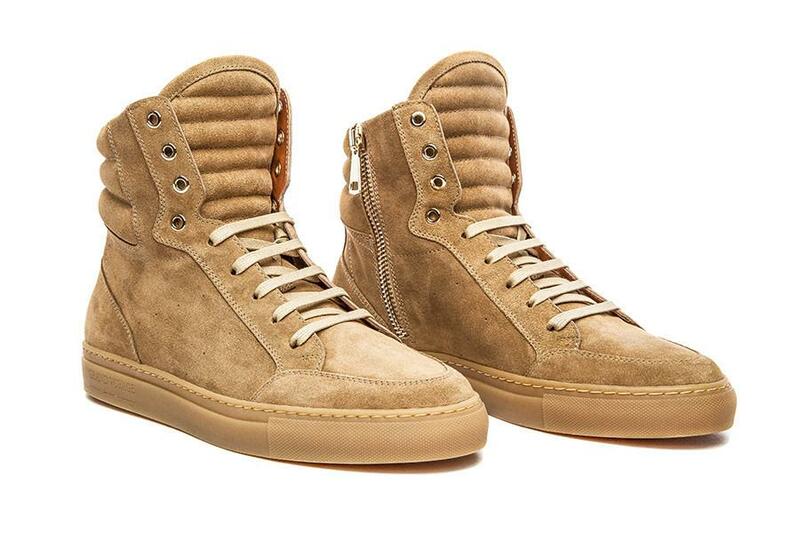 Executed in a crisp tan suede, this sneaker is crafted in Tuscany, Italy and boasts a full tonal coloring from oiled upper to the Margom laser-engraved gum sole and features an inner side Raccagni gold zip for the tall narrow shaft. The ankle padding and top seaming give it an active edge which plays nicely against the staple menswear coloring for an overall minimally cool finish. Available now at TheGrandVoyage.com.